1) Composites: Tooth-colored/non-metallic and made from a resin. Small fillings – You may experience some minor sensitivity to temperature and biting for a few days. Your gum line may be irritated for a few days if the filling was placed next to it. Large fillings – The concern with larger fillings and using tooth-colored/non-metallic materials is that some teeth may not be able to handle a large filling. It is normal to experience sensitivity to temperature and biting for 1-2 days following an appointment. If you do experience any of this for more than 7 days, please let our doctors know. We will want to follow up and may adjust your bite to give the tooth some relief. Build-Up Material – In certain cases our doctors will advise you that the material that was used is a build up material, which is made from a resin like conventional composites. If there are internal fractures, deep decay, or a need for a filling that is greater than one-third of the chewing surface of the tooth, then the tooth may the use of build-up material instead. The build-up material we use is white or tooth-colored. The texture of this material is not as smooth as your natural tooth, and you may notice it for a few days. Once build-up material is used, the tooth should not be uncomfortable at all. If there is discomfort with the build-up material, our doctors will need to evaluate the health of the nerve. 2) Glass Ionomers: These are tooth-colored or white materials. Generally there is never any sensitivity with these materials. If you have any, please let us know. 3) Silver/Alloy Fillings: These fillings are silver in color and used for back teeth. These fillings can be sensitive to cold and biting pressure for 2-4 days. After the filling is done, you need to be careful not to bite anything hard for 24 hours as well as with cold and hot liquids. If sensitivity persists, please let us know and our doctors may need to see you to check the bite. 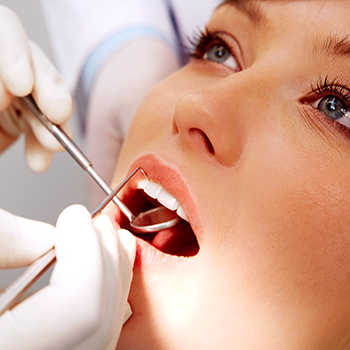 If the tooth persists with symptoms, then it may require more than a filling.